I recently took part in the Sweet Swap, a fun idea for bloggers to raise money and share delicious treats by two clever cookies, Sara from BellyRumbles and Amanda from ChewTown. The basic idea is that you sign up for $6 (which goes to a good cause) and then get sent three other blogger’s names to send homemade sweets to. You sent your treats out in the mail and then wait patiently for three boxes of deliciousness to come your way. It was tough coming up with what to make. I had lots and lots of ideas and also wanted to make something the bloggers I would be sending it to would enjoy! Finally I settled on this Peanut Butter fudge and thought I’d add a cup of chocolate chips, because hey who doesn’t like peanut butter and chocolate? I found this great simple recipe from the Brown Eyed Baker and then I was ready to go! The bloggers I was assigned to send treats to were: Chanel from Cats Love Cooking, Amanda from ChewTown and Amy from Melbourne Food Snob. About to start packaging up! From: Brown Eyed Baker recipe here. note: my version is slightly adapted. Add peanut butter and butter to microwave safe bowl and microwave on high in 20 second bursts until the mixture is melted and smooth. Add vanilla essence and sift in the powdered sugar gradually. Mixture is thick, so you may like to use a stand mixer or hand mixer to help things along. 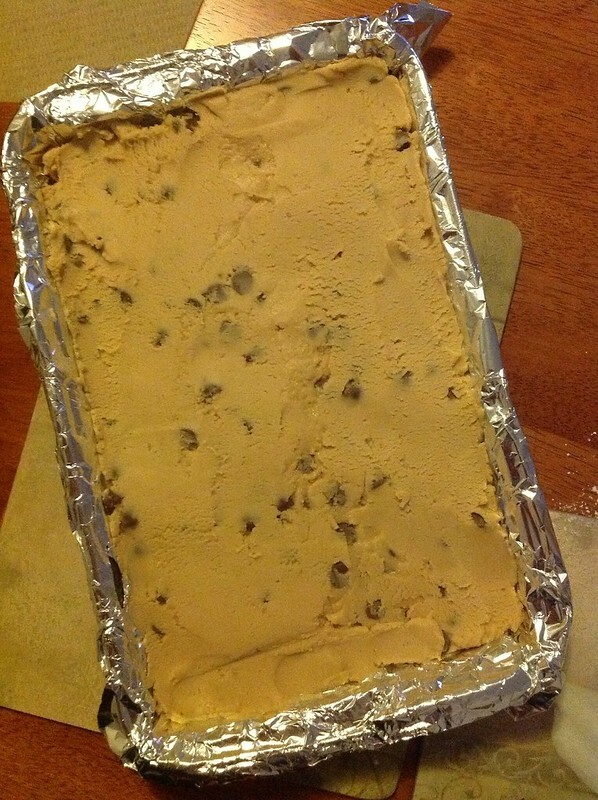 Add chocolate chips if using and pour fudge mixture into your lined brownie tin and press down. Pop into the fridge to set for at least one hour. Take fudge out of fridge, flip onto a plate and peel off foil. Slice into bite size pieces and serve! 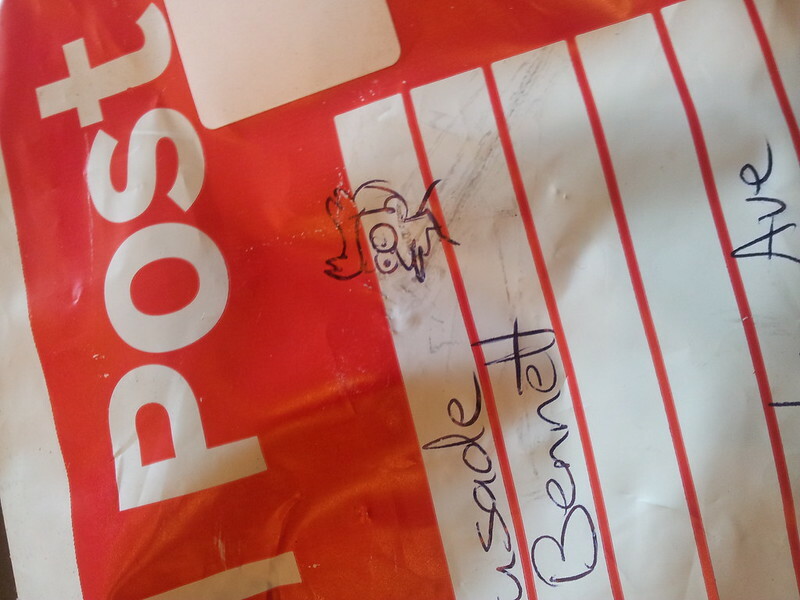 I also really enjoyed receiving packages in the mail. I love getting fun mail! I loved this cute little pic of Fry by Alana Bread! 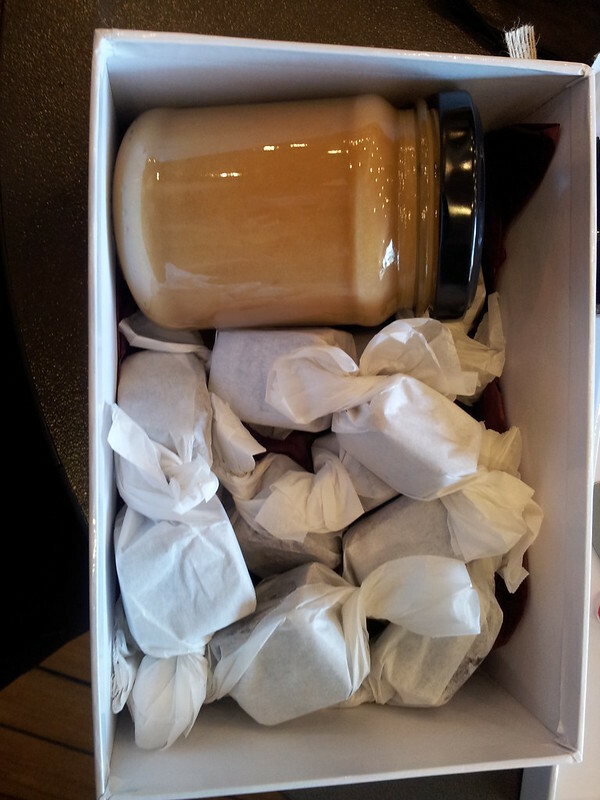 Alana Bread’s super delicious winter fudge and a jar of dulce de leche. YUMmmmm. I loved the packaging as well! You can check out her recipes for these lovely treats here. It was so fun getting to send out cute little packages in the mail and so exciting to receive ones back! It was also great seeing everyone making their treats on Instagram and wondering who was sending you what mystery sweet. Its definitely something I’d like to do again! I’m already thinking about new treats to make! The Sweet Swap was so much fun! Your fudge looks absolutely epic! You’re right, who doesn’t love peanut butter and chocolate! Definitely can’t go wrong with peanut butter with chocolate! It’s a winning combination. These look so good, and I love that they only take 10 minutes, i’m totally going to make this but with almond butter! The Sweet Swap is such a great idea! I love the fudge. It looks great. Peanuts and chocolate are such a winning combination! This sounds awesome. Like a Reese’s fudge bar! I tend to stay away from fudge because I’m not a fan of caramel, but your PB chocolate fudge definitely won my heart. Yummm and I love the idea of The Sweet Swap. Brilliant! Ooooh I love the sound of this fudge. It’s so easy! I need to try this, stat!! How much fun is this. It’s always great receiving a package in the mail and receiving these treats makes it even better. 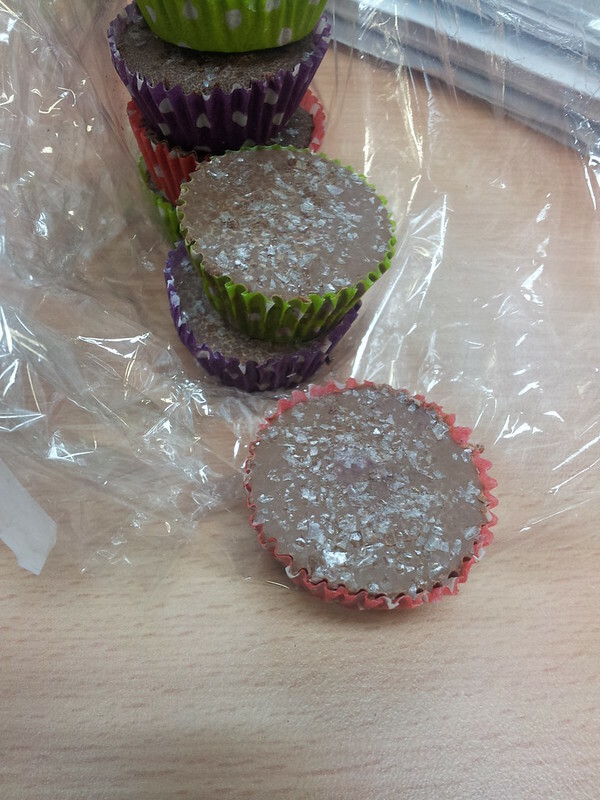 They look so yummy, shame about the last treat. What delicious fudge, it looks heavenly! And the treats received are so addictive! You’re right! Peanut butter and chocolate is always going to be a winner. Looks great! Peanut butter and chocolate is such a great combo – one of my faves! These look great. And the treats exchange is so much fun! I think I would struggle with this coz I don’t have a sweet tooth and can’t make dessert to save my life. I’m so chuffed you loved my little amateur treats….was so much fun doing Sweet Swap this year – looking forward to being a bit more creative next year! I am so glad you had fun. Your fudge looks amazing, peanut butter and chocolate, yup, yum. Ohh seems like so much fun! I need to be more confident about my sweets making to join sweet swap. I heard great things about it and I just want to eat what everyone makes… (but not confident enough to send my own baked stuff HAHA). 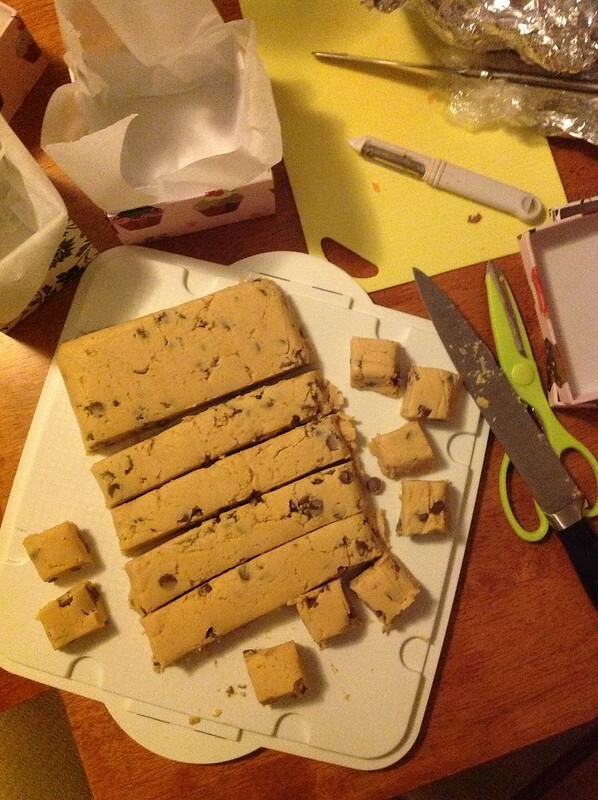 Your PB choclate chip fudge looks perfect! Sorry for not commenting sooner – I’ve been interstate. Thank you SO much for taking part in this year’s event. I can personally vouch for how excellent your fudge was! They were so moorish that I had to hide them from myself… but unfortunately Scotty found their hiding spot and proceeded to quickly whittle them down before I noticed how much was missing! This fudge looks absolutely perfect! 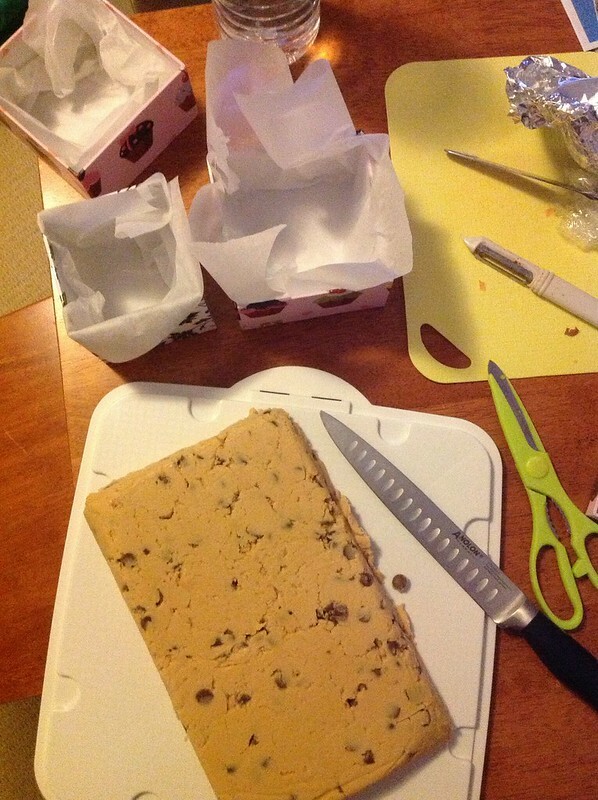 Making note of this for the perfect edible holiday gift. Thanks for sharing!